The Steelworkers' Retirement Security System: A Worker-based Model for Community Investment articulates a new model for economic security based upon steelworkers’ pension provisions and labor politics after World War II. Labor’s collective bargaining agreements created interdependent commitments that sustained jobs and stabilized communities. 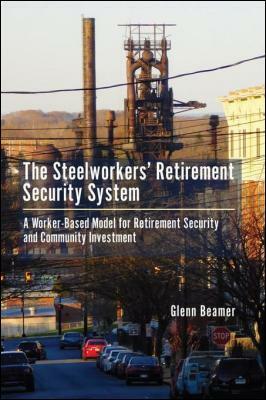 The evidence in The Steelworkers' Retirement Security System includes an empirical analysis of United States steel towns and case studies of Weirton, West Virginia, Bethlehem, Pennsylvania, and Johnstown, Pennsylvania. By understanding the politics that bound firms and workers together and adapting these commitments to the post-industrial economy, The Steelworkers' Retirement Security System offers a new means by which communities can provide workers security and economic growth. This new model, the Guaranteed Pension and Community Investment plan, provide workers with lifetime retirement annuities and communities with reliable investment capital.